Namaste and welcome to the Hotel Monalisa Chitwan, a peaceful, homely atmosphere Hotel at Chitwan. The accommodation at Hotel Monalisa is perfect for everyone who have desire to enjoy nature in peace and to make their holidays in chitwan a memorable one. 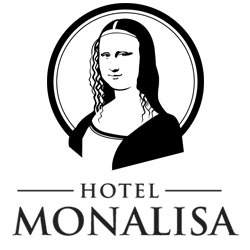 What’s the story of Hotel Monalisa? It’s about natural beauty that leaves you amazed. Boundless, yet accessible surroundings. An amount of service that doesn’t just do the right thing, but that does it ably, and with great care so you feel the difference. We give a sense of company with sustainability at its heart. We are set in an incredibly exquisite location, World Heritage Site Chitwan National Park. Each of our premises has a typical and different personality that relates with its background, giving a natural vibe of staying in Chitwan. Unique pagoda architecture and magnificent interior design together with flawless, personalised service create an blissful setting for ideal holidays destination. The area and surroundings of Hotel Monalisa is second to none. Set among the tangled vegetation and open grasslands, with classy shopping malls and vast choice of restaurants at some distance and business facilities of the city, this well-appointed hotel is also only minutes from the fabulous Chitwan National Park. Come stay with us and experience what it feels like to be pampered. Experience ease and simplicity in an environment that will fascinate you. Your satisfaction and solace is our privilege here. Located in the midst of Nepal’s Inner Terai, and surrounded by beautiful forests, Hotel Monalisa has the peaceful, homely atmosphere to relax your mind and soul. We’re though some miles far from the hurrying around of downtown but we are minutes from all the famous Chitwan attractions. We have many guests who stay loyal and humble, they so fall in love with our generous reception that they have visited us again and again, making us their family. Provided by the staffs who love to share the city, Hotel Monalisa offers the affable neighborliness you’d anticipate from a friend. Our group has incredible insider information of the city and are ready to assist you to make the most of the stay with us. Our hotel rooms instill a complex private environment with extravagant solaces and conveniences that give the vibe of an inviting home. We offer a bunch of adventurous activities such as Jeep Safari, Jungle Walk and many more. A variety of escapades await to make your each minute feel thought about. And for those gallivants, this place is no doubt a treat for yourself! We plan your all adventure and activities according to your choice and preferences. Provide you the best accommodation and other facilities. We guarantee you to give the best moments of your life in chitwan.